Sometimes, finding the right Mercedes Benz 600 parts can be a lesson in patience, that is, unless you know where to look. UNeedAPart.com is one of the largest online parts locators in the world that both individuals and repair shops can use to instantly find the Mercedes Benz 600 parts needed to get the old girl running again. Try it once and you will see, finding a Mercedes Benz 600 part from UNeedAPart.com will have the part in your hands faster and for far less money than getting it through an automobile dealership. It's been years since the Mercedes Benz 600 has been manufactured, so by now, many of the ones still on the road may be finding their way into repair shops. The car may need a rebuilt or perhaps a new Mercedes Benz 600 part. Either way, it doesn't matter. You have a virtual parts warehouse at your fingertips with UNeedAPart.com. We can easily locate any Mercedes Benz 600 parts you need! 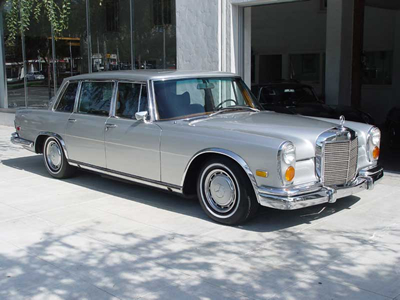 Stop being frustrated when the dealership's parts guy looks at you strange when you mention the Mercedes Benz 600. Find all the Mercedes Benz 600 parts you need in one easy step with UNeedAPart.com! Finding the right Mercedes Benz 600 parts is easy! To get started, simply use the Parts Request boxes at the top and/or side of the page. You will instantly be matched with auto parts dealers that meet your search criteria. UNeedAPart.com helps you find the new or used auto body parts you need in no time!